Hislop’s were "the manufacturer of the celebrated cheese and butter palers”, the latter being the word used for what are now called either triers, samplers or testers. 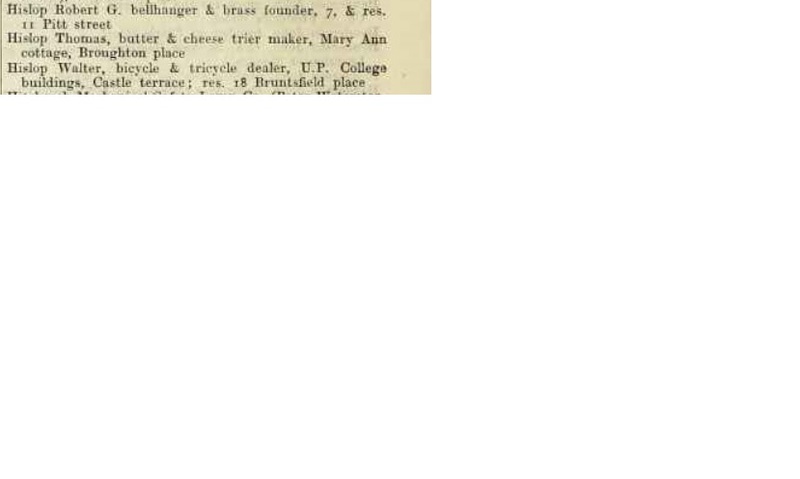 They were made at Mary Ann Cottage, Broughton Place, Edinburgh, and Hislop's entry in the Directory of Scotland 1896 is shown here. Thomas Hislop died in 1897, and Herbert & Sons bought the goodwill, plant & stock from his widow. These delicately forged tools required great craftsmanship in their making, and we continued to supply them until shortly after WW2.